As the phone rang on the other end, Elina* didn’t know what to expect. How would her Hindu priest react when she told him she was planning to take her own life? That she was at the end of her rope? That even the thought of her three kids wasn’t enough to stop her? She longed for words of comfort and direction. Instead, the priest promptly told her he was too busy to deal with her. So when her friend had suggested Elina call their Christian pastor before doing anything, she had nothing to lose. But Simon Kumaresal is no ordinary pastor. His large build and deep voice are enough to intimidate almost anyone. And his dark eyes tell the story of his checkered past. Simon was an alcoholic before he turned 22. Before he was saved, Simon lived a life that revolved around stealing money and bullying people — to the point that he caused two people to commit suicide. That might sound like an odd person to talk someone off the ledge. But that day, he was Elina’s last hope. For Simon, his last hope had come in the form of a tenacious pastor, years earlier. One day, the pastor asked whether Simon believed he was going to heaven or hell, and the walls around Simon’s heart finally crumbled. Before he knew it, tears of repentance were streaming down his face. Simon gave his heart to Christ that day and never looked back. Less than a year later, Simon and his wife, Christine sensed God calling them to a life of ministry. 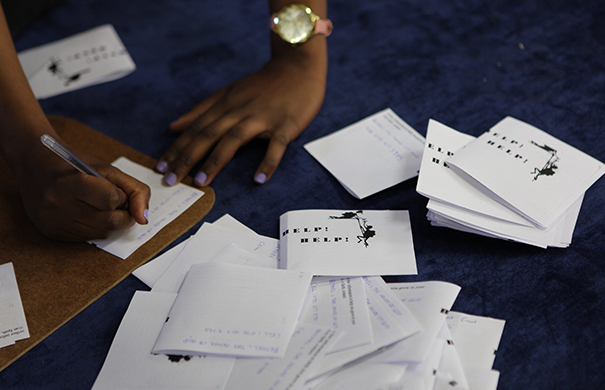 Through the recommendation of a friend, they found Durban Bible College and enrolled. Before Simon even graduated, he was pastoring a church. When Elina called her friend’s pastor that day, she was astonished by the response. Simon not only answered the phone but also talked with her and even prayed with her. He assured her that suicide was not the answer. Soon, Elina began visiting Simon’s church. In just over one month, she gave her heart to the only One who could truly care for it — Jesus. Not everyone was thrilled with Elina’s conversion. But even Harith couldn’t deny the change in his mother. Eventually, he agreed to accompany her to church — and wait in the car until the service ended. Elina was undaunted. She kept inviting her son to church, and the next time he went, he decided to go inside. After the sermon, he thanked Simon for helping his mother. And then, he couldn’t help but cry. That day, Harith gave his life to the Savior he’d said he never wanted. Harith was determined to share this Good News with one person in particular: his father, Elina’s ex-husband. After some persuading, Harith’s father, Mohan*, agreed to go with his son to a Sunday church service. Just like his son, he opted to stay in the car until it was over. But Simon had seen this before. Without hesitation, he went up to the car and invited Mohan to come inside. “I’m gonna come with ashes over my head,” Mohan said, referencing Hindu tradition. So Mohan started attending church services with his son. And after many weeks, many questions and many tears, he too gave his heart to Christ. An Entire Family Saved — Thanks to You! 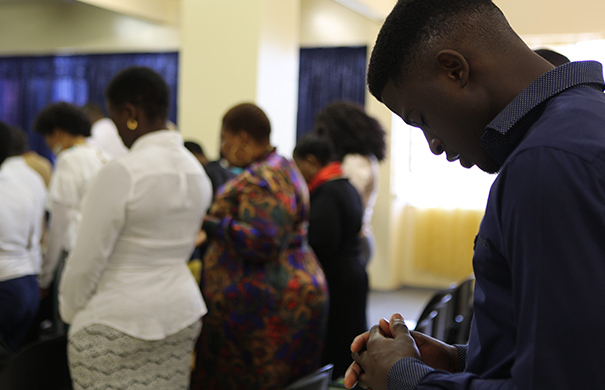 Through one man’s choice to enroll in Durban Bible College, an entire family was brought to faith. Even Elina’s two young daughters, who are only 13 and 4 years old, are now witnessing to their friends and neighbors. Elina’s story is incredible, but it isn’t out of the ordinary. Through support from friends like you, Bible colleges train and equip believers to step out in faith every day! And the results are incredible. 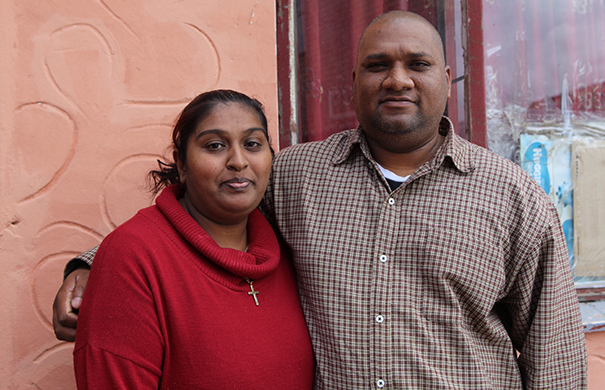 Simon and Christine know they are fortunate to see firsthand the fruits of their labor. When you help send a new believer to Bible college, you bring the Gospel to broken communities and share it with people in desperate need. 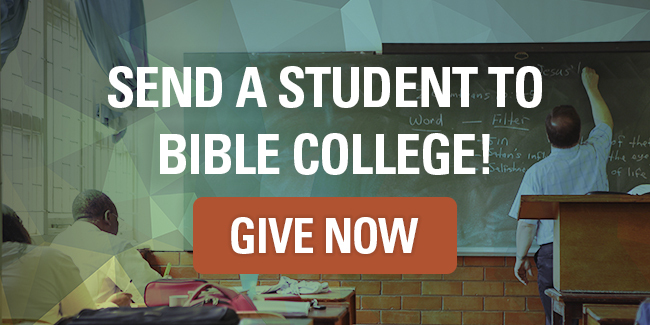 Give today to help equip a student like Simon for a lifetime of ministry! Simon’ s story is really inspiring and we need many of such Pastors to help many souls come to the saving knowledge of our saviour even our Lord Jesus Christ. Am encouraged to serve the living God as his servant serving among over 1500 young people in Lusaka – Zambia. Prayer for the youth Ministry in Lusaka – Zambia to grow and be linked to Saints who are willing to contribute to Ministries like ours and Your Bible College. The Youth Ministry in Lusaka Zambia ,to which am the Co-ordinator is faith based founded to preach the Gospel to the main lost souls and serve more of those that faced with various issues including, Poverty, HIV/AIDS, Unemployment, Drug Abuse and MANY other vises with the outmate goal of preaching the Gospel to them. Thanks and may the good Lord God richly Bless you in Jesus name. God bless you as you seek to mentor and guide young people in Zambia!